This spring, metro and regional planning agencies and county governments are reviewing, validating and redrawing Census Tracts, Block Groups, and Census Designated Places that will be used for data tabulations over the next decade. 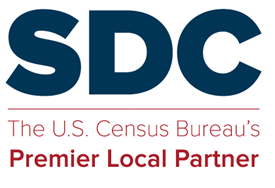 Documentation, software, and data for the Participant Statistical Areas Program (PSAP) is published on census.gov. This entry was posted in Sharing and tagged 2020 Census Geographic Programs, PSAP, Tracts.